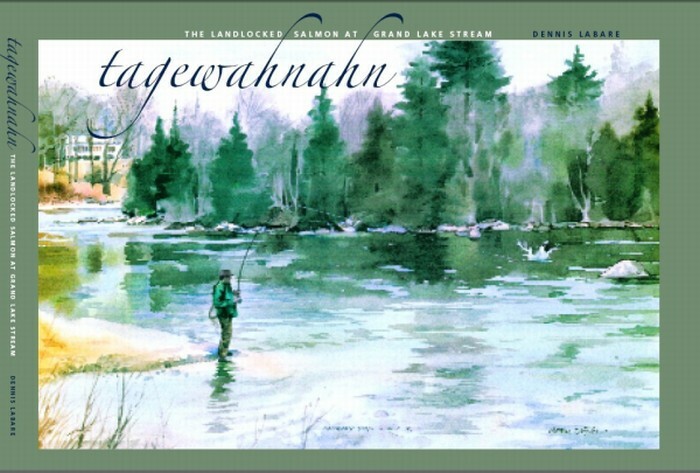 The first book ever about Grand Lake Stream and its famous Landlocked Salmon, Tagewahnahn is a comprehensive treatment of this storied sporting destination. Sensitively and intelligently written, exhaustively researched, the history, angling, ecology, and noted personalities that made and keep Grand Lake Stream a classic destination are brought to life in easy to read text that includes more than two-hundred color and more than forty B&W photos. This edition of only 1000 high-quality hardcover sale copies makes this monumental achievement immediately collectible. Twenty-five percent of the net proceeds of sale from this book after taxes will be divided between the Grand Lake Stream Historical Society and the Maine Council of Trout Unlimited. Books are now SOLD OUT! We are pleased to announce that from Tagewahnahn's release in September 2007 through December 2015, $8500 has been donated to participating charities. Thank you for your support!